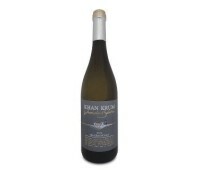 Khan Krum Chardonnay Wine Makers Selection Category: Dry Wine Size: 750ml. Alcohol: 13.5% alc. by vol. 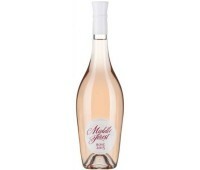 Grape variety: 100% Chardonnay Producer: Khan Krum Winery, Bulgaria Steely, yet unctuous..
Middle Forest 2015 Dry rose wine - Mavrud 60% and Cabernet Sauvignon 40% Thracian Valley The wine has pale salmon color. The nose is pronounced with hints of strawberry, cherry and raspber..
Bulgariana Thracian White Blend, 750ml White Wine Chardonnay 60%, Sauvignon Blanc 20%, Riesling 10%, Gewurztraminer 10% Bottled by Edoardo Miroglio EOOD, Bulgaria ..
Khan Krum Traminer Wine Makers Selection Category: Dry Wine Size: 750ml. Alcohol: 13.5% alc. by vol. 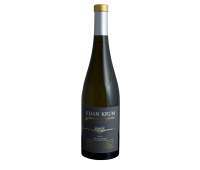 Grape variety: 100% Traminer Producer: Khan Krum Winery, Bulgaria Richly textured, aromati.. Selection of the best Bulgarian wines.